Does your attic insulation look like this? Heat loss through and around ceiling joists. This is proper insulation! No heat loss through ceiling joist. 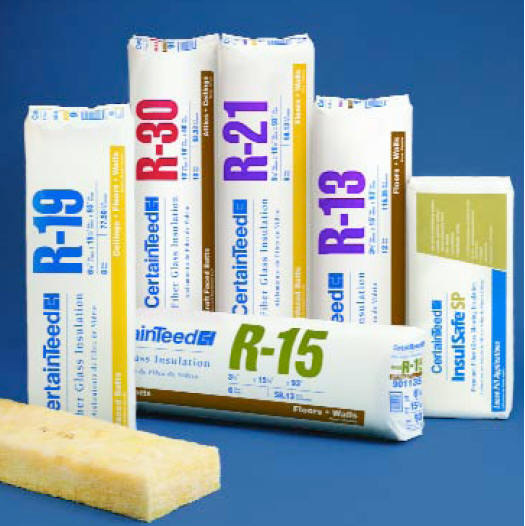 CertainTeed Kraft-Faced Fiberglass Insulation is ideal when a vapor barrier is needed for attic, exterior walls, floors or crawl space. Dow Styrofoam Sheathing has superior moisture resistance, contains no fiberglass, so no itch, and offers unbelievable strength. Big L Lumberland stocks 4' x 8' sheets in 3/4", 1" and 2" thicknesses. 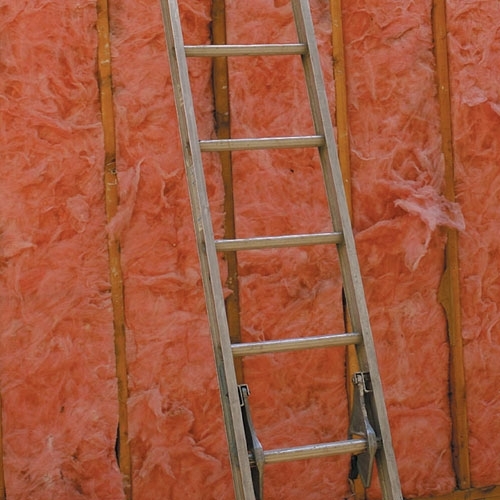 Nu·Wool Cellulose blown-in Insulation resists fire, moisture and rodents. Nu-Wool insulation is also a good sound deadener (blower rental available).